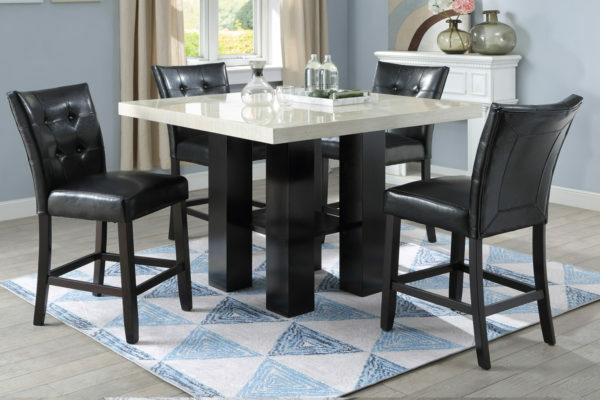 Enjoy your casual dinner time with your closest friends on this beautiful faux marble table dining set. 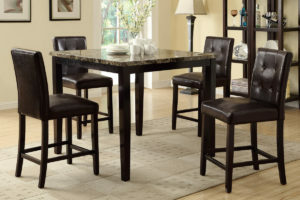 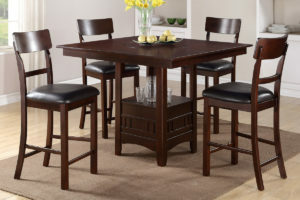 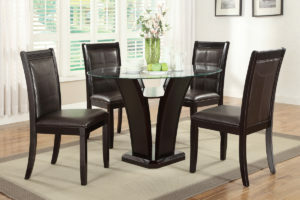 A contemporary set that includes four black upholstered high chairs. 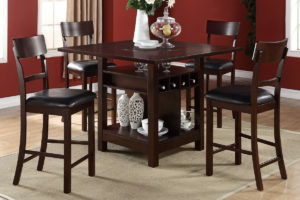 The cushions are designed to be cozy for long hours of chatting with family. 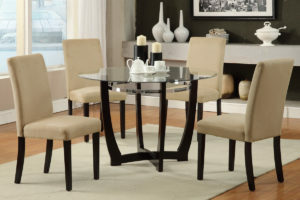 This contemporary dining table set fits into various decor and home styles.